Charles Lipson is the Peter B. Ritzma Professor in Political Science and the College at the University of Chicago. He chairs the university’s major in political science and directs a graduate program called PIPES, the Program on International Politics, Economics, and Security. Besides publishing extensively in political science, he has written several books to help students study more effectively. WAM: What is the source of your interest in political science and international relations? CL: I’ve been interested for a long time in the intersection of three areas: politics, economics, and history. I can remember these being my interests even when I was in the sixth or seventh grade. I lived in rural Mississippi, but I subscribed to The New Republic and lots of other magazines, not just newsweeklies but other interesting magazines as well, and I developed those interests for a long time. I happened to grow up during an interesting period. I am a baby boomer, and I was in high school in the midst of the Civil Rights struggle and in college during the Vietnam War and the cultural revolutions of the late 1960s. All of these issues led to my ever-deeper interest in politics. As an undergraduate, I majored in both political science and economics and then went on to graduate school in political science. Originally, I thought I would study American politics. But I kept an open mind and the most interesting questions at the time seemed to be in international politics. So I went in that direction, and I’m very happy I did. WAM: Do you consider yourself a self-educator, a lifelong learner? CL: Yes, absolutely. I view myself as a lifelong learner, and I think most professors do. After all, we never really left school! We think of learning and teaching as being a kind of seamless web. Also, I really enjoy learning about new fields. Almost every summer, for example, I tackle a new area that I haven’t really read a lot about, one that might not necessarily have anything to do with my primary field. One year I read a lot of 19th-century fiction, and another I spent a lot of time reading about new developments in evolutionary biology. I continually read about the Western historical tradition. But until a few years ago, I hadn’t read so much about Ancient Greece and Rome. Now I’ve read a lot about the classical Mediterranean world. For these projects, I simply find a subject that pricks my interest and start reading. I’ll stumble on something that interests me and follow the trail as one book or article leads to another. These days, I supplement my reading with podcasts or courses on CDs. As I explore a topic, I will often find a podcast for an introductory course and “take the course” through the podcasts. WAM: Do you use blogs or other online resources in addition to podcasts? CL: Sure, and I find them invaluable. The Web is a great resource. I’ll often look at course syllabi from around the world and see what books they assign in areas that interest me. I also look at blogs in whatever field I am exploring and at blogs like yours that identify resources. 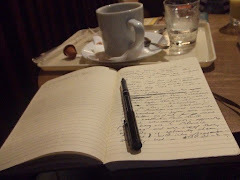 A blog like Wide Awake Minds helps me in two ways. First, it identifies sources of learning in fields that interest me. Second, it discriminates among those sources, telling me which ones are best and why. When I’m looking for podcasts, for instance, I always read the analysis at Anne is a Man, which specializes in reviewing educational podcasts. We are still at the early stages of a convergence of new media that allow people to acquire knowledge in new and different ways. Although I grew up in the age of print, I am now able to take advantage of countless electronic resources such as JSTOR, a database of academic articles, which I can access through the University library. WAM: You devote a portion of your personal website to links and information about education, and you have written several books on higher education. What is the source of your interest in the subject? CL: I think of myself as a teacher with an overarching goal of helping students learn. Of course, I spend a lot of time and effort studying my own subject (international politics and history), but my teaching interests range well beyond that. Some of the things I like to work with students about are not specific to my field. They are about how to study with real integrity or how to write a senior thesis. I have written books on both those topics. (Doing Honest Work in College and How to Write a BA Thesis, both from the University of Chicago Press). Many students I work with come from around the world, from China or India or Turkey or Mexico, so I wanted to write a book that addresses the specific challenges they face in studying here. I looked around and there weren’t any other books on that, and I felt I had something to say about it, so I wrote Succeeding as an International Student in the United States and Canada. Besides teaching and writing on more specialized topics, I enjoy teaching courses on big ideas to incoming freshmen. In the morning, I might teach a course like that and, in the afternoon, teach a seminar on international politics to students at the M.A. and Ph.D. level. Ranging across these different levels is a lot of fun. It’s more interesting, at least for me, than teaching only one kind of course to one kind of student. Fortunately, I’m at a university that encourages this range of teaching and research. WAM: Is there anything special about teaching at the University of Chicago? CL: I think there is. One of the things I love about the University of Chicago is actually one of the things I love about your website, Wide Awake Minds. What really makes our undergraduates special is that so many of them actually love learning for its own sake. That’s what your website is all about, too. There is certainly nothing wrong with learning something because you want to get something concrete out of it – say, studying organic chemistry because you want to be a doctor. But our university seems to have more students who love chemistry, even if they ultimately want to be a doctor, not a research chemist. Even in my own field, students might be going to law school or public policy school, but they often seem to love the ideas themselves. When I talk to professors at other selective schools, we tend to agree that our students are equally smart and hard-working, but we notice other kinds of differences. The rare thing about University of Chicago students is that they really seem to love learning for its own sake. What more could a teacher ask? That brings me to another point - the value of self-education after you finish formal classes. I was an undergraduate at Yale, which was and still is a very fine undergraduate school, with smart, wide-ranging students. But one thing I noticed was that after graduation many of them become very focused on their own subjects – if they studied the blood system or investment banking, that’s all they thought about. They seemed to discard so many of the broad interests they once had. By contrast, I had several other friends who went to what I would call mid-range state universities – not the top state schools like Berkeley or Michigan or Texas, but more mid-range state colleges – and some of them underwent pre-professional training to become nurses or businessmen, things like that. But after graduation, some of them persisted in educating themselves well beyond their jobs. They always had a novel on their bedside table or went to concerts, movies, and plays that were challenging. Watching them continue to learn helped me overcome some of the snobbery that comes attached to a fancy degree. When you’re 21 and you graduate college, you’re only 3 innings into a 9-inning ball game. Maybe you think you’re done, but you won’t be able to bring a mature, adult worldview to your work unless you keep on learning. Who can really appreciate the depth and anguish of King Lear at age 19? It’s a play about old age - its fatal traps and personal betrayals. So many of the goals of a liberal arts education ought not to be cast aside because we’ve entered a world of being a doctor or lawyer or because we have less time and more obligations to family and work. The value of reading War and Peace or The Decline and Fall of the Roman Empire is just as great when you are 30, 50, or 70 as it is when you are 17. The greatest books always reward repeated readings. WAM: Do you see self-education as a form of self-help? CL: We have too narrow a view of “self-help.” We think it’s a small section of the bookstore that deals with losing weight or improving your relationships. In fact, almost the whole bookstore is a self-help section. If you walk into the classic fiction aisle and pick up something by Stendhal or Balzac or into the biography aisle and pick up something by McCulloch, you are helping yourself. Such books amply repay the effort it takes to read them. Thank you, Professor Lipson, for your time and for the good work you do. 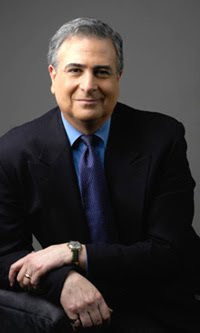 Please take a moment to visit Professor Lipson’s website and check out his books at Amazon.com. If you enjoyed this interview, consider posting it to your Facebook wall or emailing it to a friend.